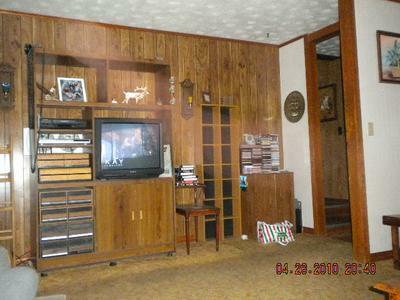 I no longer live in the house where these pictures where taken because of a divorce. 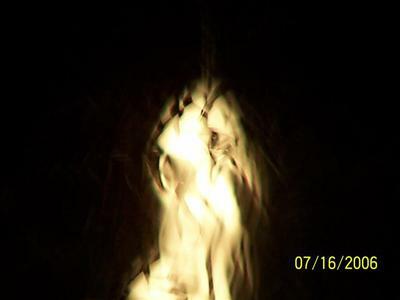 I lived there for 21 years and every day I had experiances with ghost in some way. 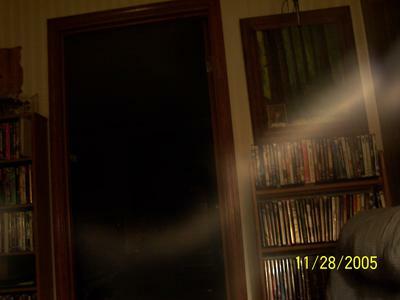 I did have a glowing ghost walk into my bedroom and knock on my closet door and my cat actually went over and smelled it but I didn't have my camera handy so I did not get a picture of it (darn). I do have several pictures of ghost but you only allow 4 to be posted on here. 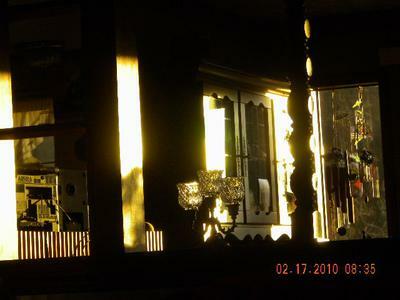 the first is a picture I was taking of the a orange moon rising and this appeared instead, the second photo is of a woman spirit floating across the living room, the third is a photo of light beams taken looking into my bedroom and the forth is of a woman seen in a reflection of the glass from my china hutch. enjoy.